Hormone Replacement Therapy is a medical treatment that improves the hormone balance in patients whose hormone levels are abnormal or deficient. This is often associated with Andropause (in men), sometimes called the Male Menopause. Generally, HRT for Men involves a combination of Testosterone Replacement Therapy and HGH Therapy. The decrease in hormones after the age of 30 often leads to a host of problems, conditions, and even diseases which hormone therapy can help alleviate or prevent as you continue to age. This is why hormone replacement therapy is the cornerstone of most Anti-aging regimens. Maintaining balanced hormone levels can result in higher energy levels, improved cognitive function, increased sexual desire and function, improved muscle retention and fat loss. Hormone Replacement Therapy for Men can also help in maintain natural sleep cycles and even helps preventing depression, weight gain, moodiness and a host of other age-related conditions. 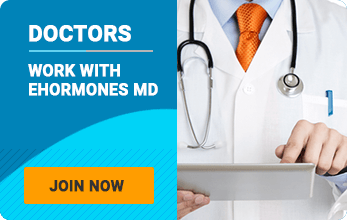 Proper hormone levels protect against cardiovascular disease, elevated blood pressure, certain forms of cancer, diabetes, osteoporosis and many other diseases.